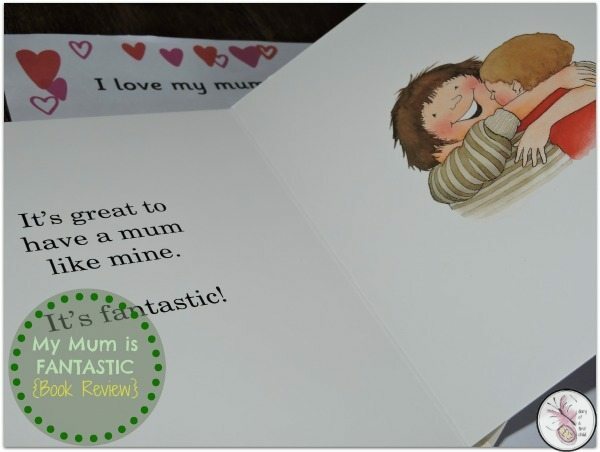 Well, do you need any further motivation to read a book to your child, beyond a title of ‘My Mum is Fantastic’. 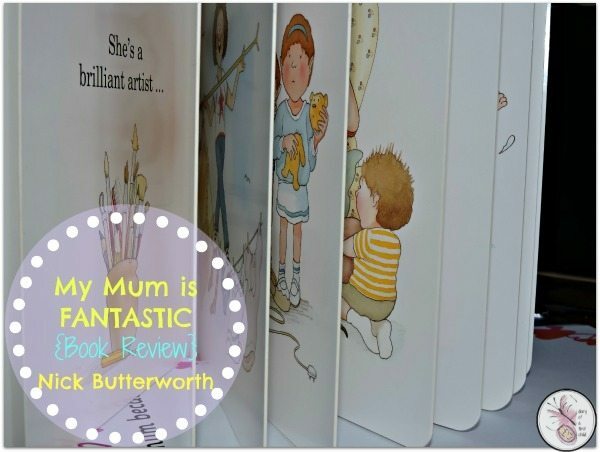 It is, of course, based on a true story – *wink wink* But okay, I’ll tell you a bit more about this board book from Nick Butterworth. Targeted at those over 6 months, this is a sturdy board book with 13 strong board pages. The 26 page story isn’t just for babies though, but the single lines of large-font story are great for early readers too. As such it’s a lovely read for bed time, too, since it’s short but engaging. The story is about all the amazing thing the mum-character can do: She’s an artist, an acrobat, a story teller, gardening guru, DIY expert, swimmer, stunt woman and more. She – that mother – is rather heroic, I’d agree. While I won’t say I’m as awesome at everything as she is, my kids disagreed, and were able to come up with plenty things they thought I was the best at. Well, mamas like external affirmations from time to time too. 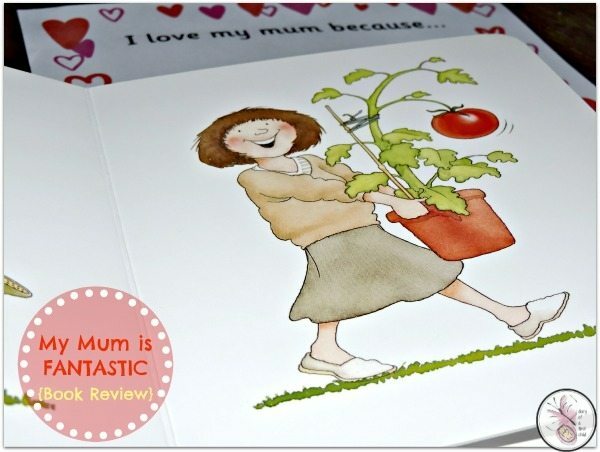 The illustrations are lovely with mum depicted as an average woman with an average body shape. Sometimes her hair is messy and she doesn’t dress overly fancy. She’s just an average mum. It’s very refreshing and has every reason to be a hit with both mums and their kids. Combine reading this with some Mother’s Day Crafts! Available from Amazon UK here, Amazon US here and Wordery, with free international delivery, here. We received this book free in exchange for an honest review. Links may be affiliated, but you won’t be charged for using them.